This 3-bedroom villa for up to 6 guests is located in Trogir and has a private swimming pool. Vucevica 35 km from Trogir: Single-family house Villa Dea. 30 km from the centre of Split, 30 km from the centre of KaStela, in a quiet, sunny position, 35 km from the sea. Private: property 1'200 m2 (fenced) with lawn 500 m2, swimming pool angular (7 x 4 m, depth 160 cm, 01.05.-01.10.) with internal staircase. WC in the pool area, outdoor shower, barbecue. 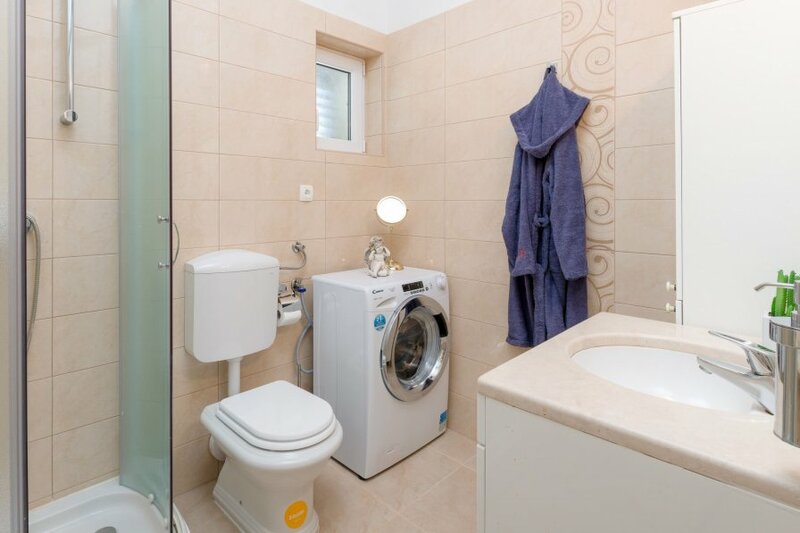 In the house: internet access, washing machine. Parking (for 2 cars) at the house on the premises. Shop 3 km, restaurant 13 km, pebble beach 35 km.